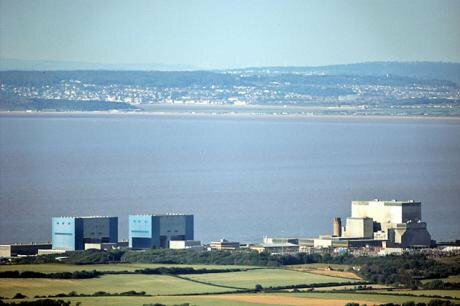 Britain should abandon Hinkley Point and invest in storage. Hinkley Point nuclear power station. By Di Richard Baker. In early July, French parliamentarians produced a report on EdF, the largely state-owned electricity company that wants to build a new nuclear power station at Hinkley Point. The legislators concluded that the Hinkley project ‘is probably the last opportunity for EdF to restore the reputation of the French nuclear industry internationally and gain new business in a highly competitive market’. The implication was clear; Hinkley is a central part of the national industrial strategy of France. The nuclear power station will proceed not because it is good for Britain or its electricity users but because the French state thinks that maintaining the capacity to export nuclear power stations is a paramount objective. And, by the way, France itself is closing down the nuclear plants on its own soil as fast as it can, with no intention of replacing them. Instead it is driving forward with solar and wind. A few days after the French parliamentary report, the UK’s National Audit Office brought out its own report on nuclear power. Among its conclusions was a calculation that Hinkley will receive subsidies of about £30bn in the first thirty five years of its life. This figure is the difference between the open-market price of electricity and the much higher figure paid to EdF for the electricity produced by the proposed new power station. Directly and indirectly through higher prices of goods and services, the average UK household will pay about £32 a year for more than three decades for the privilege of supporting the French industrial strategy. In fact, the NAO figures are probably too optimistic. It assumed wholesale electricity prices of around £60 per megawatt hour. Based on today’s trades, the electricity market thinks differently. Wholesale prices for 2018 - the best guide we have to the future – are around £41, or less than 70% of the NAO’s figure. If the cost of wholesale electricity remains at this level, Hinkley won’t cost UK households £30bn but the rather larger figure of £47bn. If the cost of wholesale electricity remains at this level, Hinkley won’t cost UK households £30bn but the rather larger figure of £47bn. Estimates for the underlying price of putting nuclear power on the grid continue to rise sharply. Nuclear power stations being built around the world today are almost all very much more costly than predicted and are taking several years longer to build than promised. The most troublesome new plant – at Olkiluoto in Finland – is now slated to start generating in late 2018, about eight years late. The cost overruns have near-bankrupted the developer, which is now fighting legal battles over $5bn of claims and counter-claims in international arbitration. Olkiluoto is built to the same design as Hinkley, suggesting that the French unions and EdF middle managers that are so opposed to the UK power station have considerable logic behind them. The NAO acknowledges the cost inflation of nuclear power around the world and also notes that solar and wind require lower subsidies. One chart in its report shows this point clearly. By 2025, the earliest conceivable date by which Hinkley could be providing electricity, the NAO sees solar costing £60 a megawatt hour (about 65% of nuclear’s cost) with onshore wind at a similar figure. In other words, the subsidy needed by solar is expected to be little more than a third of that required by EdF. What’s also clear is that while nuclear power is tending to get more expensive, wind and solar get cheaper and cheaper every year. Even experts find it difficult to keep up with the speed of the change. In 2010, the government’s energy department said that solar would cost £180 a megawatt hour in 2025. The most recent estimates, less than six years later, are no more than a third of this level. And, by the way, this failure to predict the steepness of decline in the costs of solar power is characteristic of all governmental and research institute forecasts around the world. The likelihood is that by 2025 solar will actually need no subsidies at all, even in the gloomier parts of the UK. Nobody really disputes any of this. Even the NAO acknowledges that the only remaining argument in favour of the ‘cathedral within a cathedral’ at Hinkley is that nuclear gives the UK what is known as baseload power. This comment mirrors an assessment by the new UK Chancellor, Philip Hammond, who described security of energy supply as an ‘absolute prerequisite’ in a BBC interview on 14 July, although he added he had not seen the new cost figures from the NAO and hopefully gave himself some space to reconsider. A well-functioning nuclear power station will provide a stable and consistent output for every hour of the year. It cannot be turned up and down as power needs vary during the year. Mr Hammond sees this an an advantage but as renewable sources grow in importance, the opposite is likely to be true. Modern economies actually don’t want baseload at all; we need electricity sources that ramp up and down to complement highly variable amounts of wind, solar and other renewables. Inflexible nuclear power is the worst possible fit with increasingly cheap but intermittent – although predictable – sources of low-carbon energy. Inflexible nuclear power is the worst possible fit with increasingly cheap but intermittent – although predictable – sources of low-carbon energy. By 2025 the UK will probably have at least 18 gigawatts of offshore wind and perhaps 12 gigawatts of onshore wind. My guess is that we might see at least 25 gigawatts of solar power, and it could be much more if photovoltaic technologies continue to surprise us with rapid declines in price. (We already have about 12 gigawatts, mostly added in the last two years). The scope for continued improvement in the cost and performance of solar is substantial. Total demand for electricity falls as low as 19 gigawatts in summer compared to the 55 gigawatts of renewables. So there will be many occasions when the UK has too much power and nuclear power will be unnecessary. On other occasions, such as still December evenings, demand will be 50 gigawatts or so and solar and wind will be producing a fraction of the amount required. The 3 gigawatts at Hinkley will be helpful but insufficient. Here then is the challenge facing Greg Clark, the new minister in charge of both energy and ‘industrial strategy’. How does the UK avoid becoming the testbed for France’s horrendously expensive nuclear technologies and the proving ground for EdF, its national champion? What technologies will come to the fore that allow the world to switch principally to cheap solar power, by far the most abundant source of renewable energy? In what technologies can the UK develop knowledge and skills that both provide us both with the reliable power that Philip Hammond stressed is needed but also give us goods to make and to export? Batteries aren’t the answer for us. Although the energy storing potential of lithium ion cells is substantial, they will never get northern latitude countries like the UK through the winter. We have little sun and sometimes the wind doesn’t blow for weeks at a time. Batteries won’t hold enough electricity. And, second, the car makers and the Asian industrial companies that make their batteries have that market already cornered. The UK would be wasting its money on R+D in this area. The real opportunity is finding ways of storing large amounts of energy for months at a time. This is where the need is greatest, and the possible return most obvious. More precisely, what we require are technologies that take the increasing amounts of surplus power from sun or wind and turn this energy into storable fuels. In The Switch, a book just out from Profile Books, I explore the best ways of converting cheap electricity from renewables into natural gas and into liquid fuels similar to petrol or diesel so provide huge buffers of energy storage. This sounds like alchemy. It is not. Surplus electricity can be used to split water into hydrogen and oxygen. Carbon dioxide and hydrogen can then be merged by microbes to make more complex molecules, such as methane. Methane is the main constituent of natural gas, so it can be simply stored in the existing gas network. Other microbes take carbon and hydrogen molecules and turn them into liquids that can be kept in the oil storage networks. Many companies around the world are trying to commercialise zero-carbon gas and green fuels as natural complements to solar and wind. This is where Greg Clark’s new industrial strategy could really make a difference. A few percent of the £30bn+ subsidy for Hinkley devoted to conversion technologies that can take cheap electricity and use it to store energy in gas or liquids could help build British companies that could expand around the world. The UK’s ability in applied biochemistry is acknowledged and the country could become the global research and manufacturing centre. We missed the early opportunity to develop a large onshore wind industry and gave the market to Denmark twenty years ago. Brexit threatens to have the same impact on offshore wind fabrication here. Greg Clark has the chance to support an even larger industry developing chemical transformation technologies for seasonal storage. Let’s not miss this opportunity. This phrase was used in a public lecture by Cambridge University’s Tony Roulstone, a nuclear engineer who trains postgraduates.